Hi from California guys! I am going to try and write my reviews of Creed and Good Dinosaur in the next few days but I have to fit it in with spending time with my nieces, which of course takes first priority (and taking them to see Good Dinosaur tomorrow!). 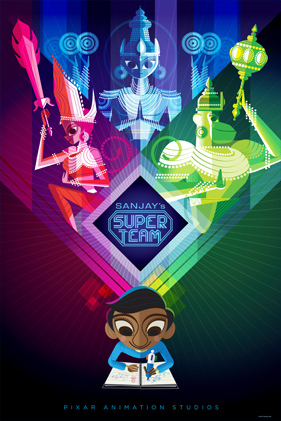 In meantime, let’s talk about the newest Pixar Short, Sanjay’s Super Team. It is a delightful short and unlike anything Pixar has really done with their shorts. It’s brighter, it explores culture and is one that isn’t based around a gag or joke. You really get this sense of conflict in the short. Young Sanjay wants to watch his superhero show but he has to be quiet while his father prays and performs the Hindu rituals to the Gods (sorry I don’t know the specific names). His father gets more annoyed with the TV and turns it off forcing Sanjay to come and pray with him. It’s then that Sanjay starts to daydream about the Gods becoming the superheroes from his show. 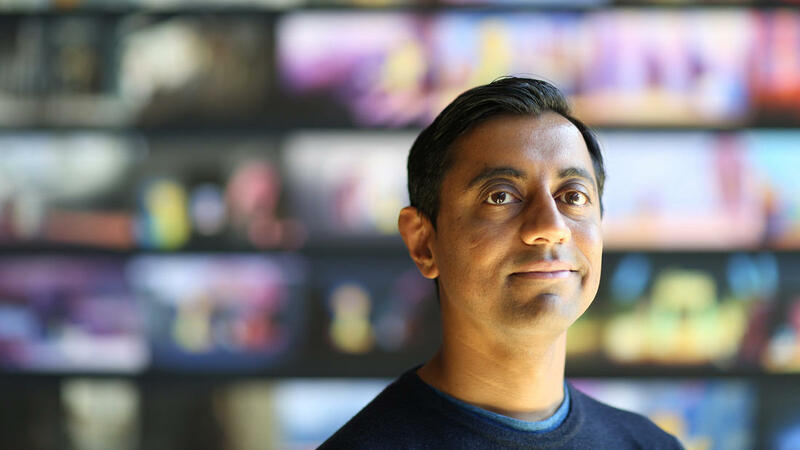 This combination of modern pop culture and traditional beliefs was really great to see, and I really liked how Sanjay learns to appreciate his father’s point of view while also developing his own ideas. I think this is great for kids to see. 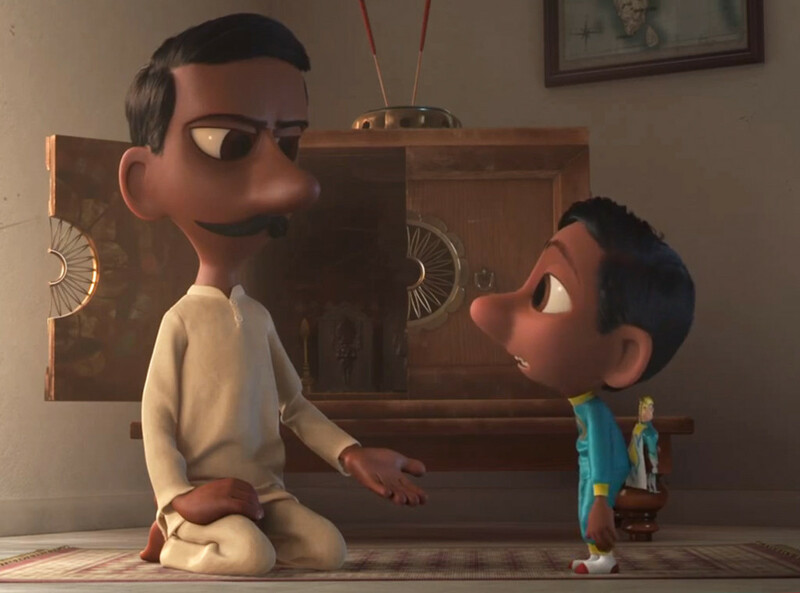 It’s also refreshing to see an animated Indian, darker skinned little boy and honestly I wouldn’t mind seeing more of this father and son. They were very sweet and relatable. As someone who was raised and still practices a rather traditional faith I really thought they got the tone right on the struggle kids like Sanjay experience as they try to figure out what they believe. It’s easy to want to throw off the old as archaic when really there is a merging of both new and old that can happen. 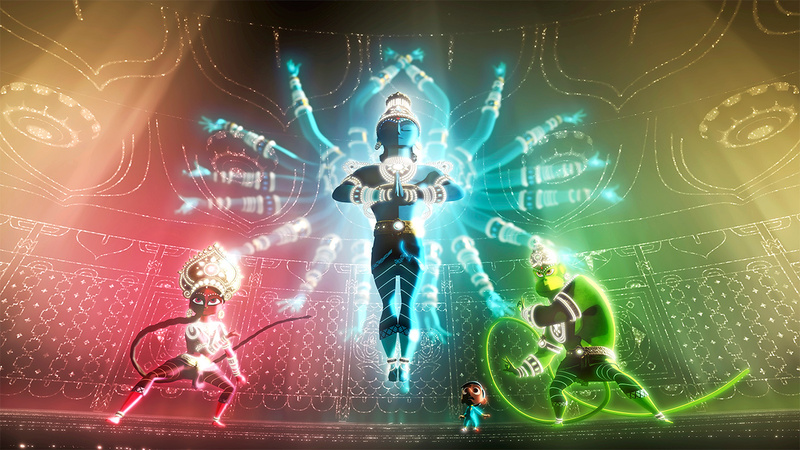 I think you can probably tell from the images in this post the animation is stunning in Sanjay’s Super Team. 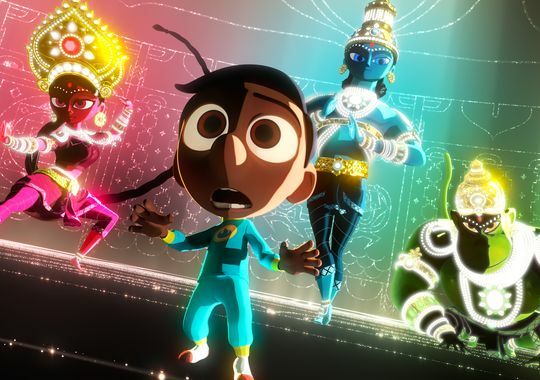 It is bright and colorful and I really enjoyed the character design of Sanjay and his father. I liked how the backdrops sparkled and looked like embossing more than paint. I like they didn’t feel a need to explain the Gods or culture because those details don’t matter. It’s a story about generational conflict and so the source of that conflict is largely incidental although certainly beautiful here. 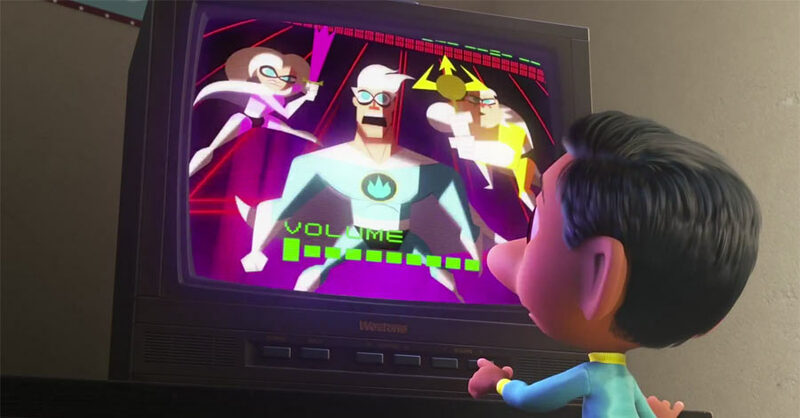 I loved Lava but I think Sanjay’s Super Team is even better. Let me know what you think when you see it before Good Dinosaur. As a brown guy with Indian ancestors, I feel I’m going to like this short a lot, lol, although the polytheism may unsettle me a bit. But anyway, I think the “Hindu rituals to the Gods” would probably be called “Pooja” which basically can be translated as “worship”, I think, but I’m no expert. Thanks for that clarification. It’s not really about polytheism but about the merging of traditional and modern culture. This sounds really interesting for an animated short film. I look forward to seeing it once I see it right before The Good Dinosaur. I really enjoyed the short. I thought it was something different and appreciated them bringing in different cultures from the typical “white family.” I liked it better than Lava myself. Me too on all counts even though I did love Lava I think this is better. This short reminded me of something Doug Walker once said, about superheroes being the modern equivalent of Greek mythology. It’s one of the best Pixar shorts I’ve seen: it’s multi-layered and I liked how it focussed on a non-white culture. I certainly liked it a lot better than the weird empty-eyed volcanoes. Ha. I love my empty eyed volcanoes but this one is better. I will own to that. Pingback: 2016 Oscar Nominated Short Reviews | Reviewing All 54 Disney Animated Films And More! Pingback: Pixar 41: Bao – Reviewing All 56 Disney Animated Films And More!